According to the Régi Magyar Családnevek Névvégmutató Szötára the Édes surname dates back to 1415. On March 20 1638 Gergely Édes along with his wife, Katalin Kerekes and his brothers, Vince, Mátyás, György and Ferenc were granted nobility by Ferdinand III Emperor of the Austro-Hungarian empire. They were from the town of Madár in Komárom county. My father’s surname is Van Sarafi de Madár Édes. 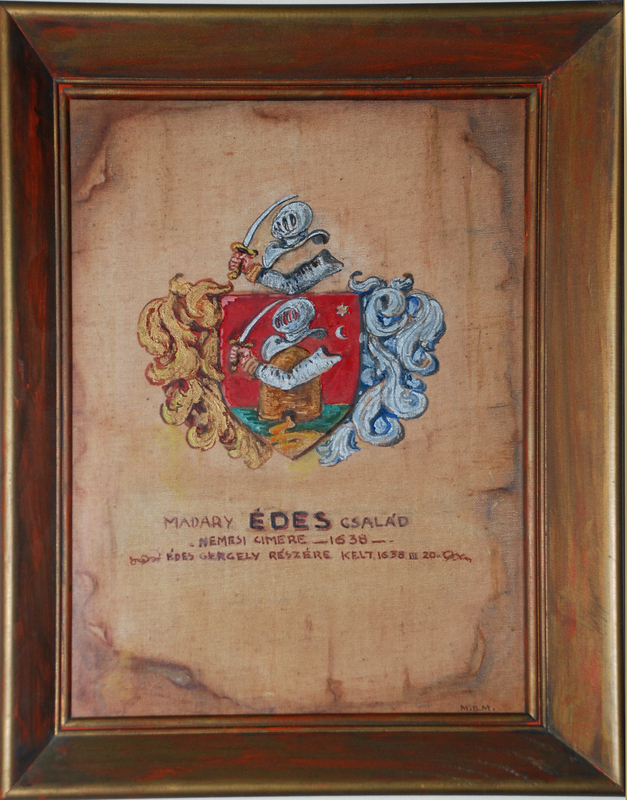 Other documents reference the Madáry Édes Család (the Édes family from Madár ). I haven’t figured out the Sarafi part yet. For the next two centuries the family lived peacefully in the Komárom area. Or more likely, not so peacefully, as there was always some war going on under the Austro-Hungarian rule. Sometime before 1862 Zsigmond Édes the elder moved down the Danube to Vukovar (now in Croatia) with his wife Julianna Vill. She hailed from Apatin in the ancient county of Bács-Bodrog, The town is now in Serbia across the Danube and about 50 km north-east of Vukovar. Their son Zsigmond born in Vukovar married Anna Terk in the lovely port city of Pola on the Adriatic Sea, just a short ferry ride from Venice Italy. Anna was born in Bautsch Mahren which is now part of the Czech Republic. Zsigmond and Anna were quite the travelers. Their children were born in Budapest, Miskolcz, Kolosvár and Nagyenyed, each place further east from the last. As an adult their son Belá settled in Budapest, married and built a successful business in typewriter repair. My father was born in Budapest and immigrated to Canada after WWII. Belá and Krisztina followed in 1957.